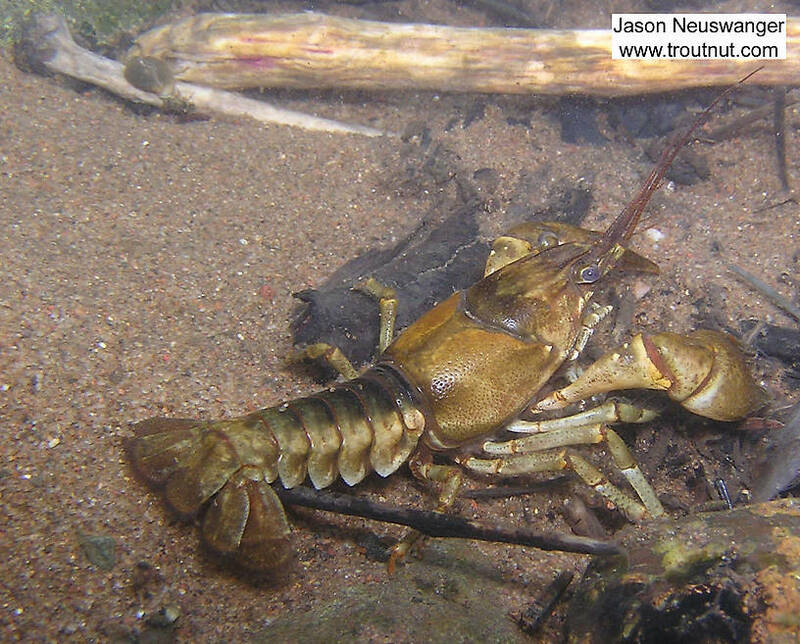 In this picture: Arthropod Order Decapoda (Crayfish). 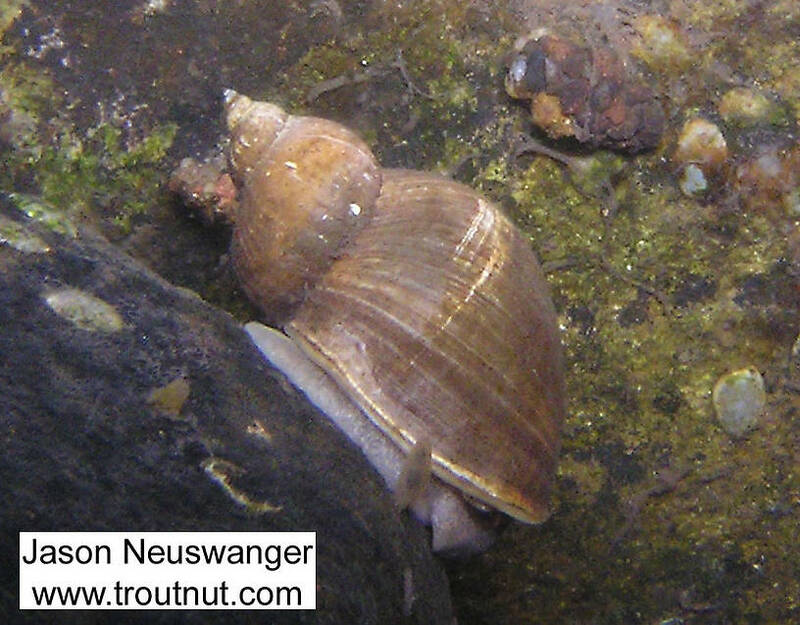 In this picture: Insect Order Trichoptera (Caddisflies) and Animal Class Gastropoda (Snails). 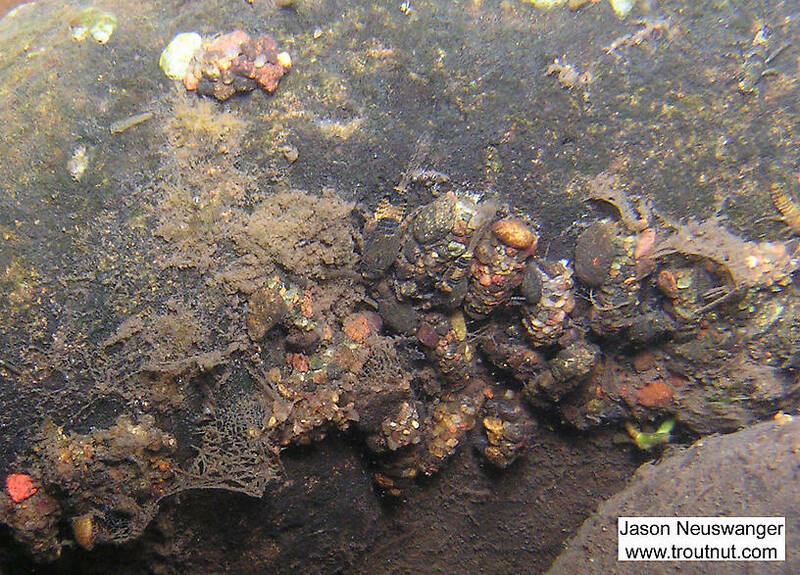 A careful look at this picture reveals at least three water boatmen swimming around. 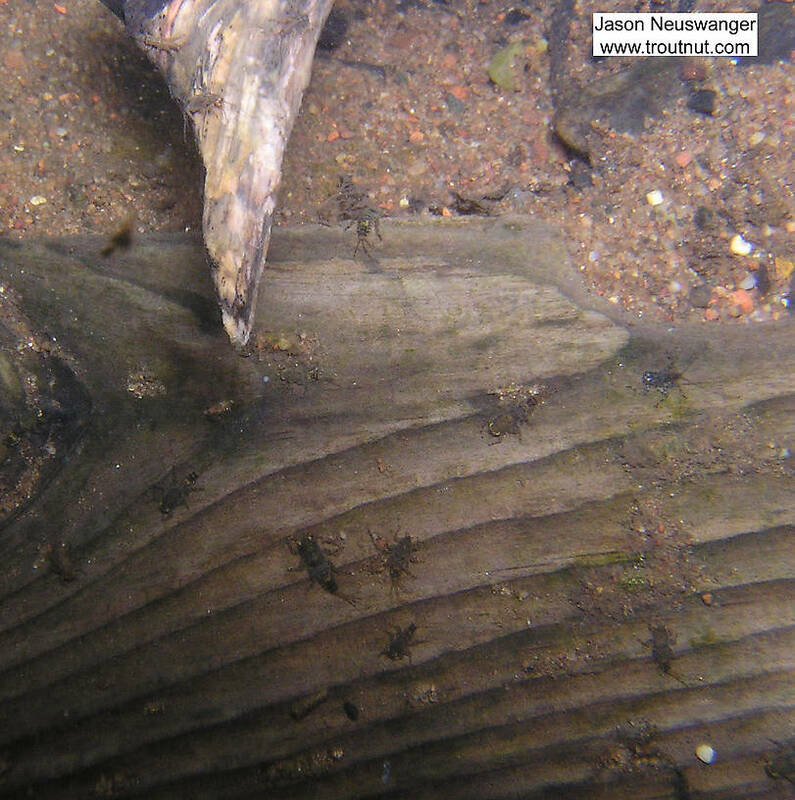 This log houses several Ephemerella mayfly nymphs and, on the top right, an Epeorus mayfly nymph. In this picture: Mayfly Species Ephemerella invaria (Sulphur Dun) and Mayfly Genus Epeorus (Little Maryatts). 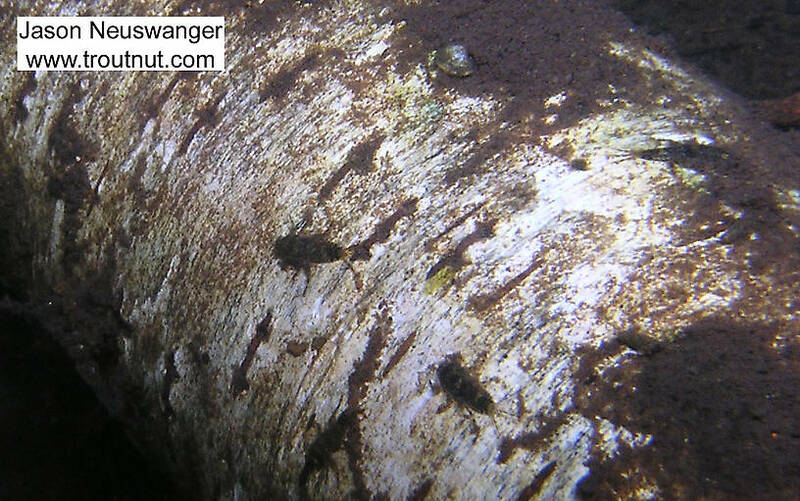 A big crayfish lurks under a log. 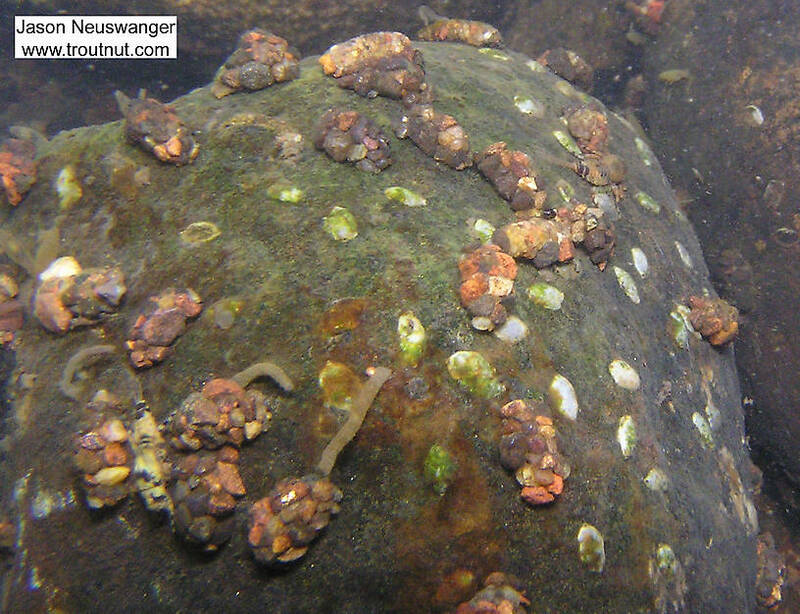 There are several species of caddisfly larvae and Ephemerella nymphs on this rock. 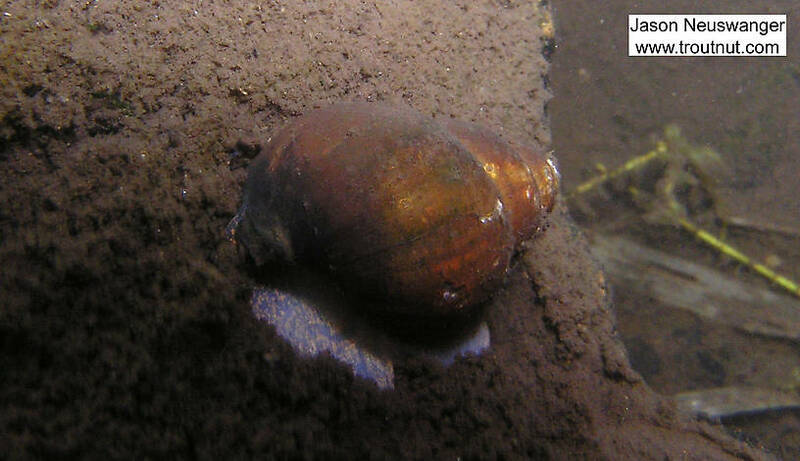 In this picture: Animal Class Gastropoda (Snails). 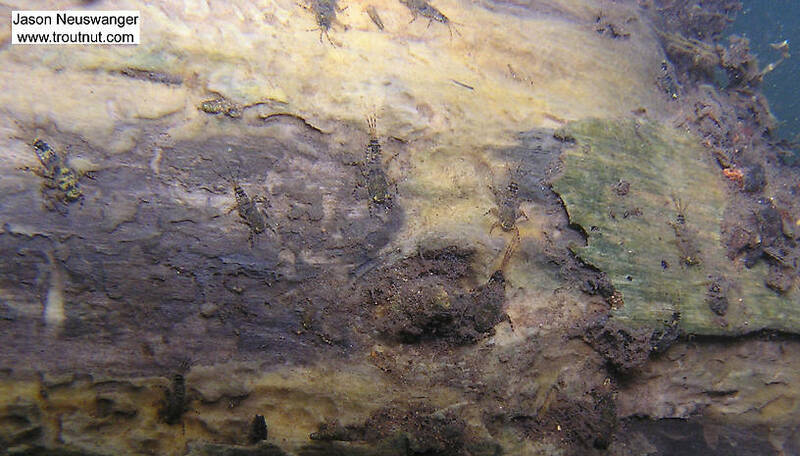 In this picture: Stonefly Family Taeniopterygidae (Willowflies). 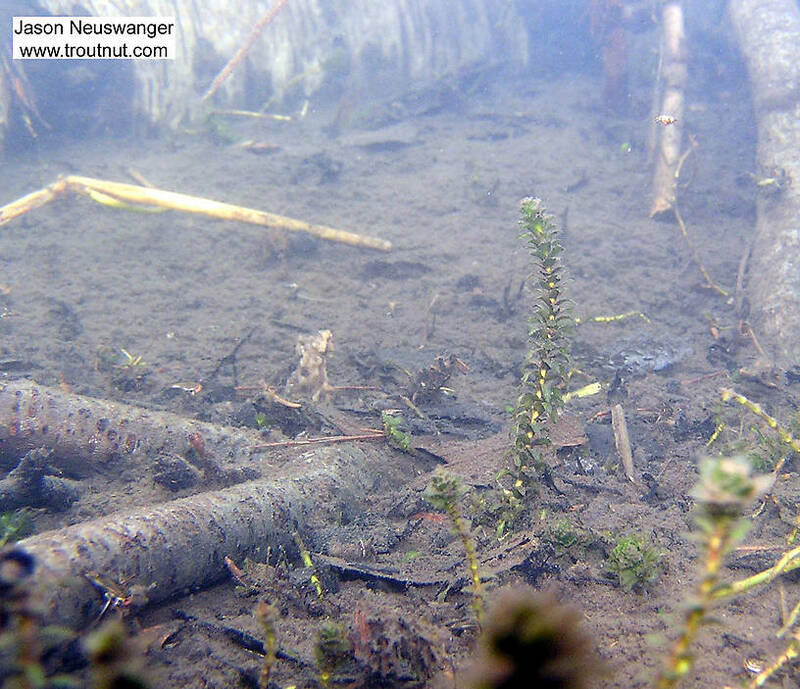 A water boatman flees the camera. 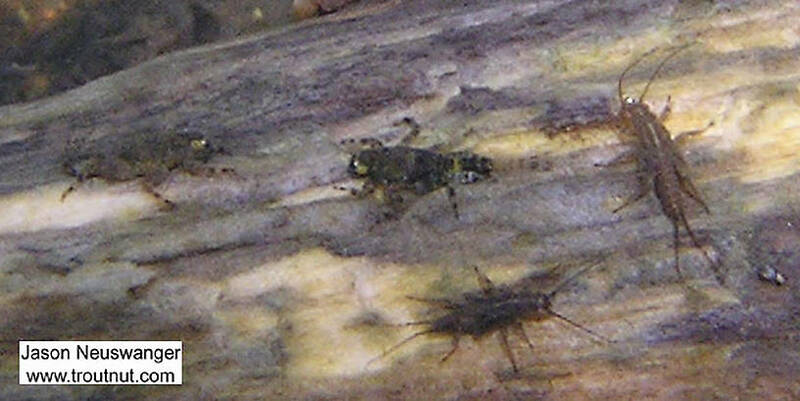 Two Ephemerella mayfly nymphs share a piece of wood with two Taeniopterygidae stonefly nymphs. In this picture: Mayfly Genus Ephemerella (Hendricksons, Sulphurs, PMDs) and Stonefly Family Taeniopterygidae (Willowflies).